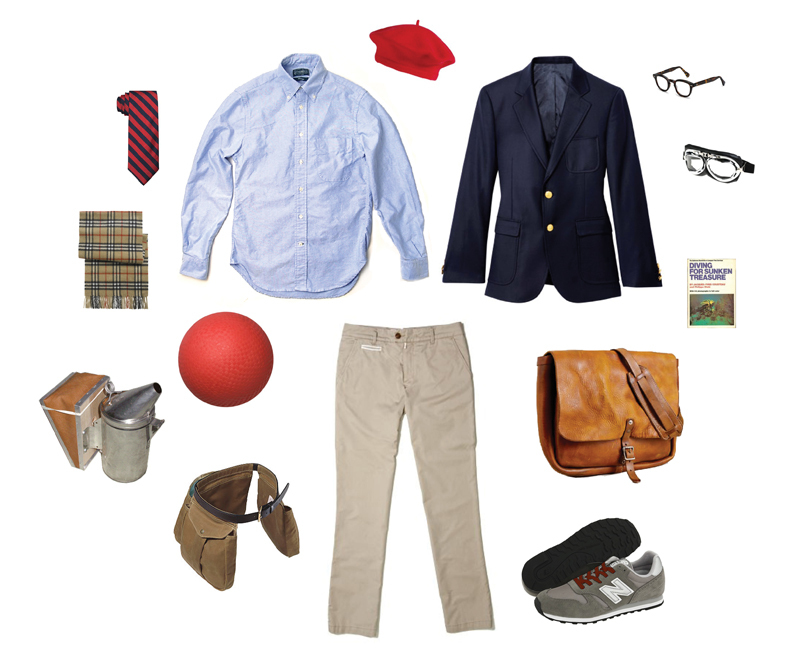 You too can be Max Fischer, the golden boy of style and wit with an abundance of extracurricular activities. Details and inspiration film stills after the jump. from left to right and top to bottom… brooks brothers tie, gitman vintage oxford, wool beret, brooks brothers blazer, moscot lemtosh, aviator goggles, burberry scarf, standard dodgeball, apolis activism officer chinos, j crew postal bag, diving for burried treasure by jacque cousteau, bee smoker, filson shooting bag, new balance m373.